About 10 km east of Neustrelitz and on the northern edge of the Serrahner region of the Müritz National Park, lies the former Groß Schönfeld Manor. 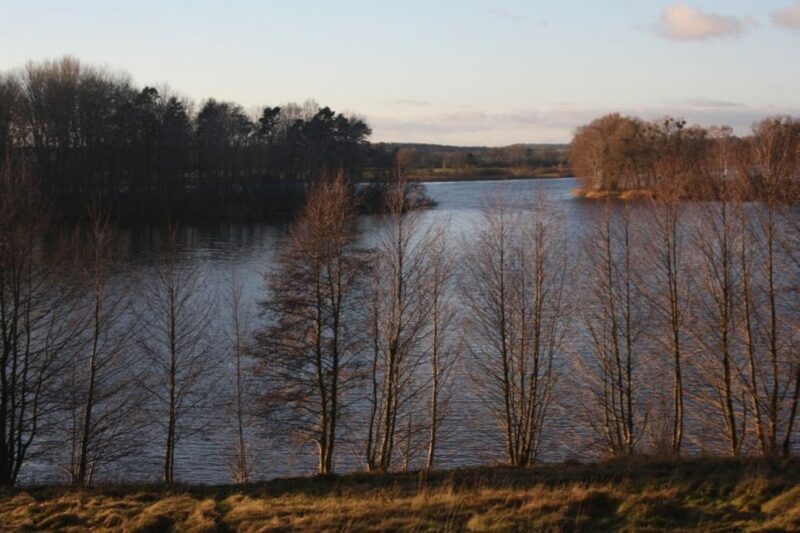 Lake Rödlin forms the western boundary of the location. The estate is first mentioned during the Thirty Years’ War in 1356, with the von Jasmund family noted as the owners. Unfortunately, the war decimated the village population. The von Jasmund family remained in the possession of the estate until 1803. In the same year they sold it to the ducal treasury, rendering it an asset of the sovereign. The last tenant of the 586-hectare estate was a Mr. Hauck, until Groß Schönfeld was taken over in 1935 by the German Settlement Bank of Berlin. 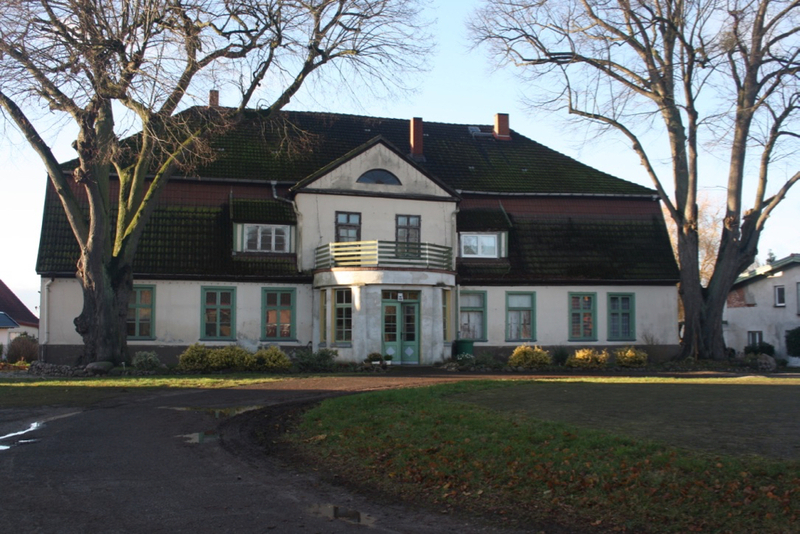 The estate was resettled and the manor house with a farm of 100 hectares was taken over by Hermann Sievers. The property was then expropriated as a part of the land reform policy. This resulted in the typical GDR-era repurposing of the property as apartments, community spaces and a restaurant. Eventually it was sold to the current owners in 2002. 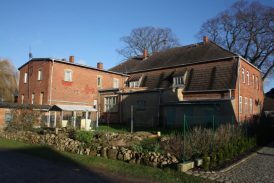 The construction of the farmhouse can be dated from the second half of the 18th century. On the regional map of 1756, the old farm west of today’s manor can be seen and it is only by 1812 that the current house can be identified The multi-faceted single-storey house is built upon a fieldstone base and around ¾ is cellared. An extended mansard roof completes the house. The central 3 axles are highlighted by a biaxial spire with a triangular gable. Around 1900, the house was redesigned again. On the ground floor, semi-circular balconies on four Doric columns now face the 3 central axles. A double-winged, glazed door with a fixed skylight leads into the house. The second storey, built as a brick shell over a fieldstone base, was added for commercial purposes in 1889. The building has a basement and a flat roof. Both of the other two annexes may have previously have acted as conservatories or simple canopies. The walls inside the house were originally designed with visible timber framework and plastering. After 1945, the house was rebuilt several times and adapted to each respective use. However, there are still some built-in fittings, such as doors and stairs. Electricity, water and sewage may be used, as well as stove or electric heating. The current state of the house is visually not very appealing, as it must be completely gutted and all installations renewed. However, for the age of the building, the materials and construction are in line with what should be expected. In front of the house are two huge linden trees that may predate the construction of the house. 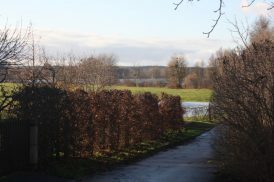 It is only about 300 m to Lake Rödlin from the house.